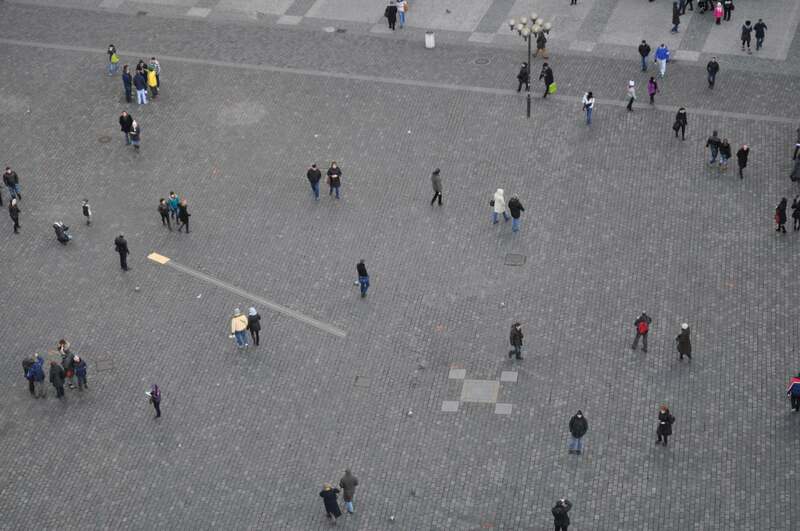 The second post about unexpected views is maybe a little bit surprising, because lot of tourists visiting Prague will visit the place I want to show you, so why is it “unexpected”? The reason is easy. It is because I visited this place after very very long time (the question is: “was I there ever before?”) and I was so enchanted and surprised by its beautiful views, that I have to show you. Something short from the history. 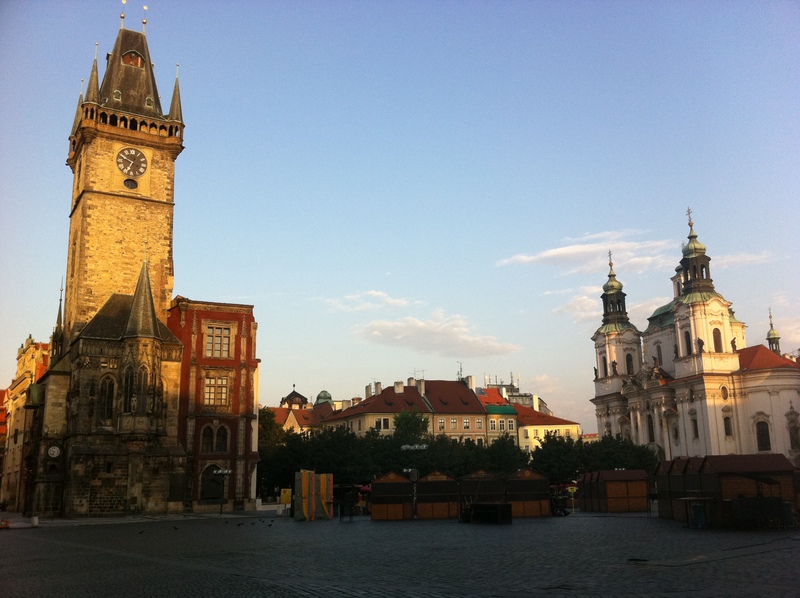 Prague Old Town got its town rights (like beer brewing etc.) in 14th century and the municipal council needed a place where to meet. After some years spent at homes and churches the council bought first building in the heart of Old Town Square. 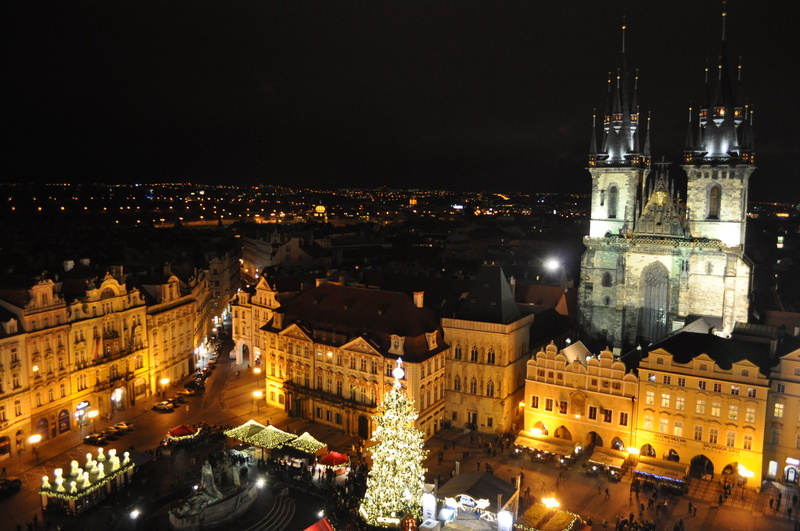 Surrounded buildings were added later and new Tower was built in gothic style in 1364, with gothic chapel and later on the world famous astronomical clock (ORLOJ in Czech). You can look at the 10 minutes video mapping of 600 Years of Orloj celebration. But back to the tower. 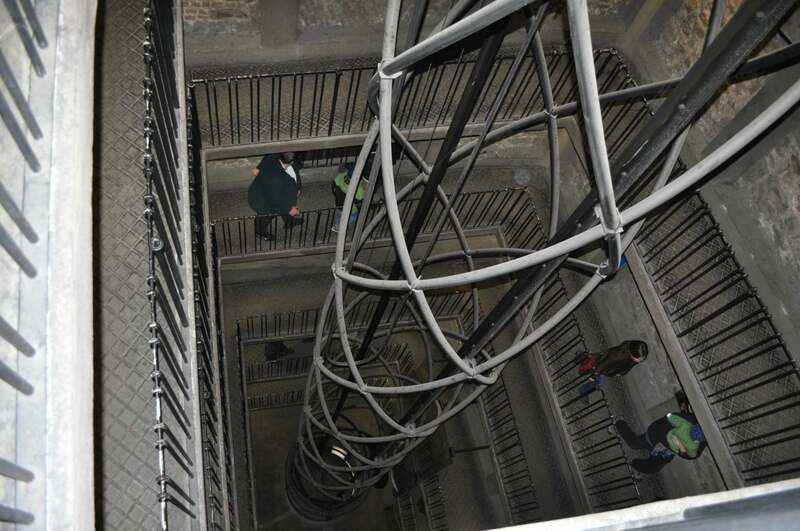 It is 69.5 m (228 ft) high and what is really perfect is, that you don’t have to climb it (but you can), but there is a modern lift in the center of the tower. South view. 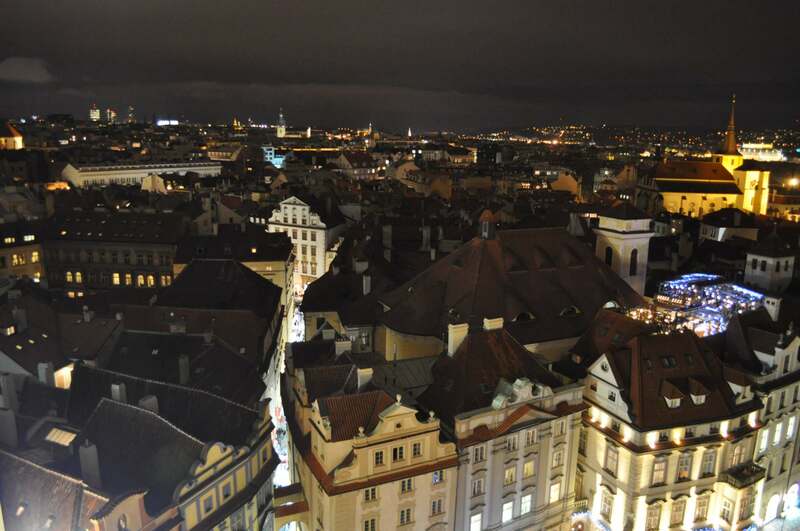 On this picture you can see streets of old town, church towers and on right side also restaurant hidden in the roofs that worth visiting. 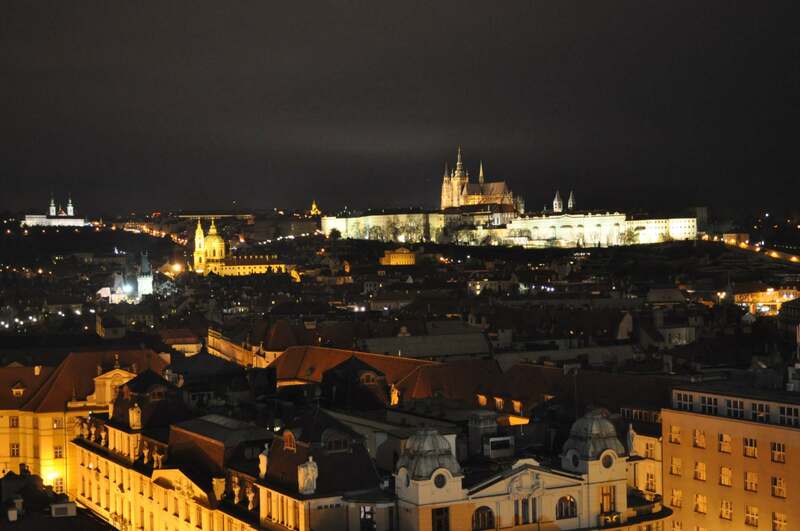 The nicest view by night: the lightsome buildings from the left: up on the hill – Strahov Monastery (with brewery), down smaller in the white light – Lesser Town Towers (lower and higher) on Charles Bridge, in the yellow light there is a beautiful baroque Church of St. Nicolas and on the right side up there is Prague Castle with St. Vitus Cathedral in the middle. 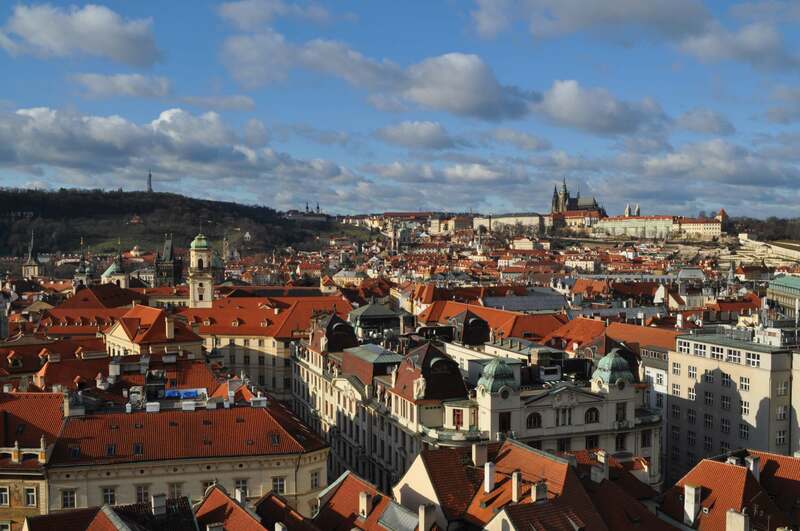 And the same view by day: Old Town, Petrin hill and Prague Castle District.